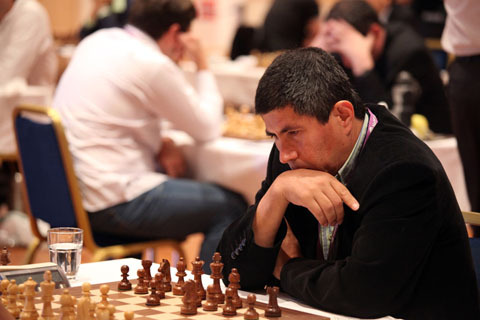 India's Parimarjan Negi let slip a position of strength and lost to Ukraine’s Yuri Kryvoruchko in the second game of the chess World Cup in Tromso. The shocking loss with white pieces means that Negi will have to now battle it out in the tie-break games of shorter duration as the final score after the two-game mini-match stands tied at 1-1. G. Akash made his exit from the 128-player event with a memorable game wherein he held world No. 3 Caruana to a creditable draw with black pieces. Having lost the first game of the match, the draw only helped Akash to gain some rating but this is one result he will cherish for a long time. B. Adhiban played out his second draw with Evgeny Alekseev of Russia while K. Sasikiran achieved the same result against Constantin Lupulescu of Romania. Negi was pretty unlucky not to progress to the round of 64. Kryvoruchko went for the Sicilian Dragon but his hopes of a combat in complications evaporated as Negi got slightly better position without much ado. Kryvoruchko had to part with a pawn also and it was smooth sailing for the Indian till disaster struck on move 42. Negi followed a mistake with a blunder and the fate of the game was soon sealed. 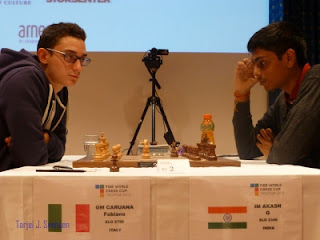 Sasikiran allowed the Nimzo Indian defence but could not force an advantage in the late middle game. Lupulescu, to his credit, handled the middle game well enough to remain in hunt for the next round. Adhiban had slightly better prospects against former Russian champion Alekseev but to make progress was not easy for the Indian. Alekseev equalised towards the end and just repeated moves to force a draw. In other important results, the world’s highest ranked woman Judit Polgar of Hungary was ousted by Isan Ortiz Suarez of Spain while defending champion Peter Svidler of Russia was shocked by women’s world champion Anna Ushenina. World’s second youngest ever Grandmaster Parimarjan Negi of India outplayed higher-ranked Yuri Kryvoruchko of Ukraine in the first round of the World Chess Cup which began here. 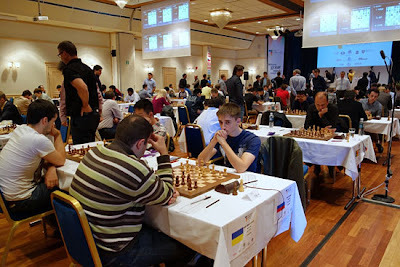 Fresh from some strong performances including a recent victory in the Politiken Cup with a whopping 9/10 score, Negi proved that his warm up tactics before the World Cup were perfect as Kryvoruchko proved no match. 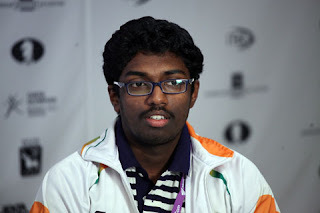 It turned out to be a mixed day for the Indians in the first round of this knockout event as B Adhiban held higher ranked Grandmaster Evegny Alekseev to a draw while Krishnan Sasikiran drew easily as black against Romanian Grandmaster Constantin Lupulescu. Indian champion G Akash, however, lost his first game of the two-game mini-match against Fabiano Caruana of Italy. Akash now needs a victory in the return game to stay in the hunt in the 128-players event. Negi was the star of the day as he almost effortlessly outplayed Kryvoruchko in all departments of the game. Playing the black side of a Sicilian Scheveningen, Negi used a new idea that unsettled the Ukrainian early and showed precise technique to go one up. Kryvoruchko now faces a daunting task to make a comeback as he has to win with black pieces. Adhiban employed the Sicilian Taimanov and was happy to get the Fianchetto variation on board. Soon as the middle game arrived, Alekseev went for a direct attack on the king side only to realise soon that it was not intimidating enough. Adhiban could have pressed for more but given his maiden appearance in the World Cup, a draw with black against much higher ranked Alekseev was a good result. Apart from the Indians, the first day witnessed the top seeds win apart from a few surprises. The round started late due to a security check. A minute's silence was also observed in memory of Russian GM Kurnosov who passed away, at the age of 28, in a tragic road accident recently. 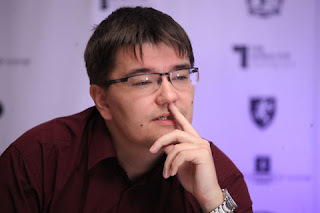 GM Alexander Morozevich lost to Canadian GM Bator Sambuev in the biggest upset of the day. 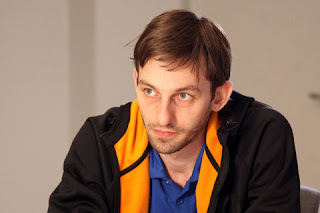 GM Ray Robson beat the higher rated GM Andrey Volokitin. GM Gata Kamsky and GM Michael Adams drew against Chinese players Lou Yiping and Wan Yunguo respectively. 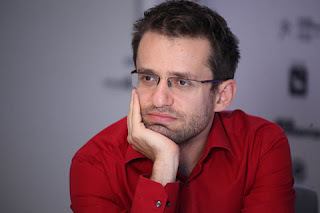 Former Women’s World Champion Hou Yifan drew with GM Alexey Shirov, but reigning Women's World Champion Anna Ushenina lost to defending champion Peter Svidler. 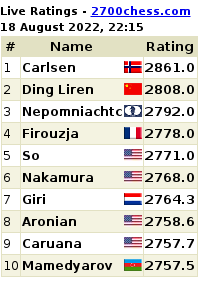 Four women are taking part in the FIDE World Cup in Tromso: Judit Polgar, Hou Yifan, Anna Ushenina and Deysi Cori. Judit Polgar also lost to GM Reynaldo Suarez Ortiz in a big upset. 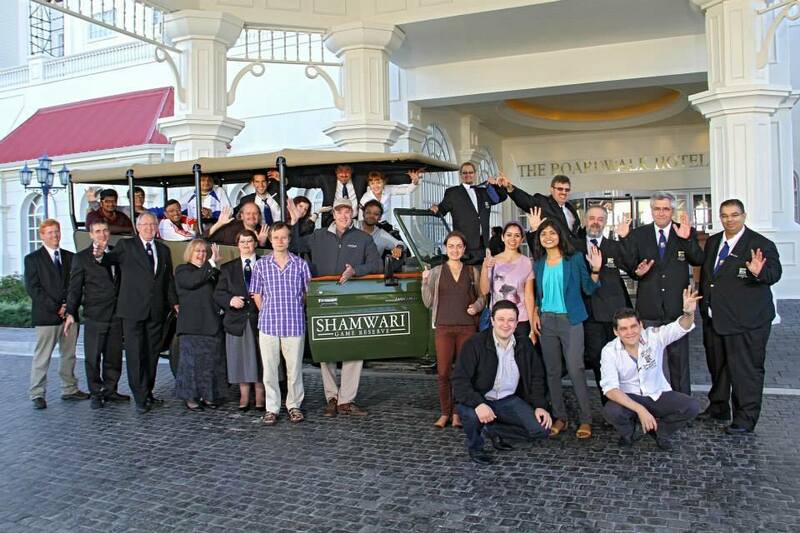 The FIDE World Cup is a knockout, starting with 128 players. Two games are played between each pair of players. The rate of play is 90 minutes for the first 40 moves, followed by 30 minutes for the rest of the game, with an increment of 30 seconds per move, starting from move one. If the score is equal there are two rapid chess tiebreak games (25 min + 10 sec), then, if the score is still tied, two accelerated games (10 min + 10 sec). If the score is still tied two blitz games will be played at 5 min + 3 sec, and if there is still no decision a final Armageddon game with 5 minutes for White and 4 minutes for Black, with a 3 sec increment after move 60, will be played. 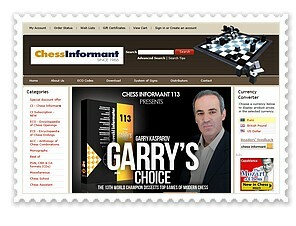 In this game Black has draw odds (i.e. he wins if the game is drawn). The winner and the runner-up of the World Cup 2013 will qualify for the Candidates Tournament of the next World Championship cycle.